It has been a lovely week. I'm not sure what we have in store for the weekend - let's think positive! I am scheduled to go on a super retreat late this afternoon and I'm really, really looking forward to it - now I am just hoping I'll be able to make it! 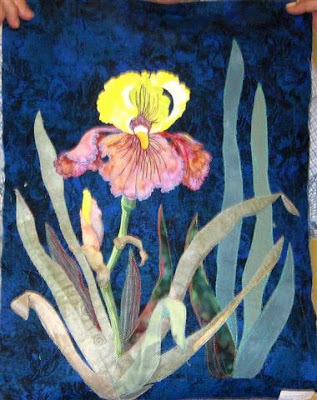 Tuesday evening I went to Secret Quilters - a lovely, recently formed group - no, no, not my work - isn't it just gorgeous and created by Helen Rhodes, Textile Artist, It has been a real thrill to me to befriend Helen and one day I look forward to doing a workshop with her. Now I must say, I have no talent in this area - but who knows, maybe Helen can show even the hopeless something, lol! 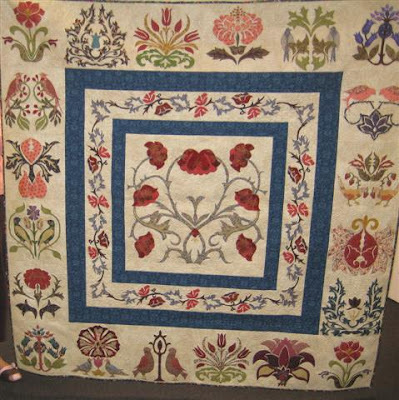 Here's Helen's William Morris - machine appliqued and beautifully machine quilted to the enth degree - stunning! 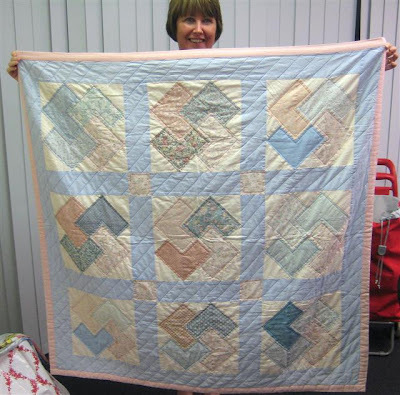 Gorgeous Helen Brown with her lovely smile - showing her sort of vintage card-trick quilt. 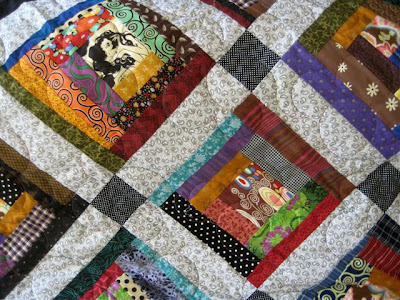 I love the mood and the feel of it - one day I will do a quilt using this block! 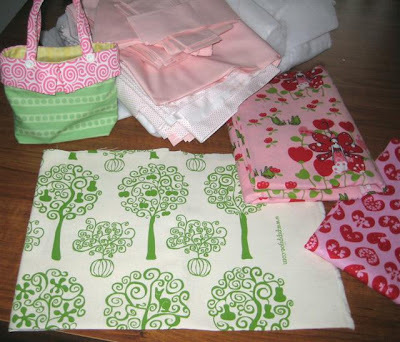 I also had a wonderful sewing day with Girlfriends! on Wednesday - a wonderful lunch, wonderful company and conversation, a tiny tipple of fine West Australian wine and not a stitch sewn - now how good is that? - thanks, Ann for a great day! A little re-vamping in my house - I am on a quest to bring a little more colour into it! Being a lover of natural flowers, I don't get too involved in artificial - I rather fancy this little piece sitting on the top of the tele cabinet, though! The magazine rack is another new addition - it belongs indoors near the tele cabinet to hide a power poit. I thought I would pop it outside in front of my beautiful big fern to show it off. 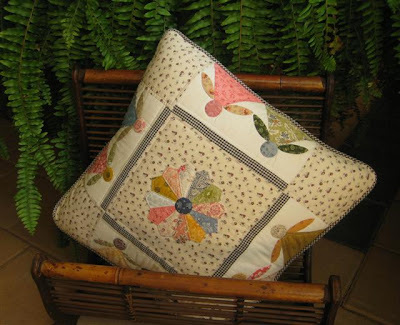 The cushion is a very dear treasure of mine and should be shown in all it's splendour - it is a gift given to me many years ago by Jenny Reynolds, a very esteemed and well known Australian designer/quilter. No, no, not our Blogland Jenny of Elefantz - a wonderful Australian talent, too! With a very anxious heart, I wish you all a happy weekend! This weekend I have managed to get quite a bit of stitching done - I just couldn't wait for a complete finish before I started snipping - hmmm, yes I think that will be okay! I still have two borders to add! Peg of Happy in Quilting sent me a pic as inspiration to do the borders - I'm happy with them - cut 6 inches wide and I pre-quilted before I attached. The blocks are cut 6.5 inches square and I have used Thermore wadding and it is fluffing up nicely. 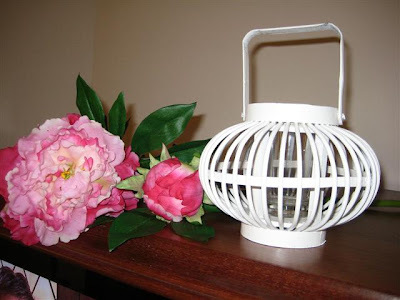 Thanks, Peg, you are a Darling - oh, happy days in Blogland! It seems to have been a very long week - sadly very little stitching - lots of spring cleaning ... even though it isn't spring! I received this book in the mail this morning - the title says it all! At a very quick glance - I'm smitten! I have always felt so sorry I missed Gwen's first book and I think, I'm not sure, I'm one of the first Australians to see her second book! 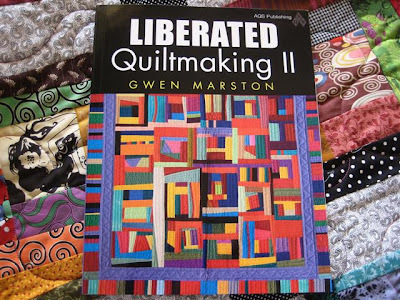 Maybe it is time - time to abandon the neatness and precision of traditional quilt making and move on to a bit of creative freestyle - I must admit my inspiration won't come from within and I will have to keep getting it from other sources - but, that's okay! Here's another couple of pages from the same book - lots of fun! 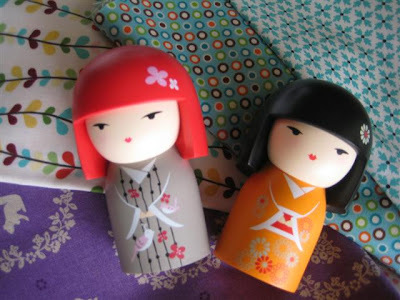 Have you noticed my two new Kimmi dolls - I love them! They have been calling me for a long time and now I have indulged - maybe they won't call anymore - I'm so happy with these little ones! 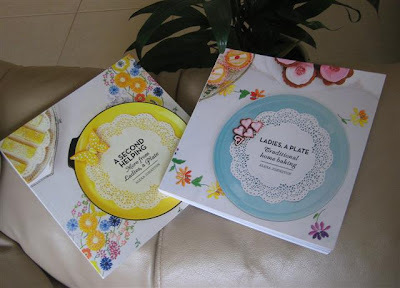 Yes, I have discovered Fishpond and another two new books - purely for coffee table purpose! 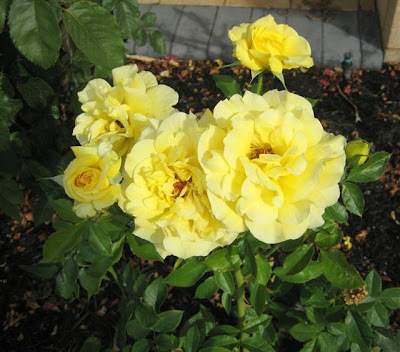 A beautiful climber, Don Juan - he has survived our very hot weather! 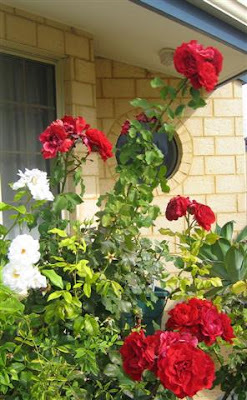 It is so lovely to drive into the garage and be greeted by these pretties - makes my heart lift! 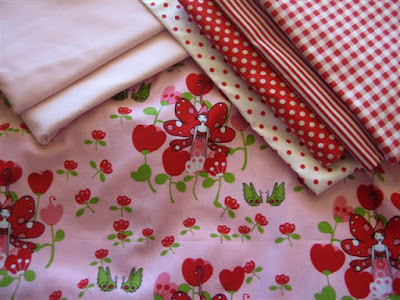 Another weekend is nearly here - I hope to get some sewing done - I hope yours is a good one, too! I hope everyone enjoyed Valentine's Day yesterday - I guess a lot would have spent time watching the exciting Winter Olympics! 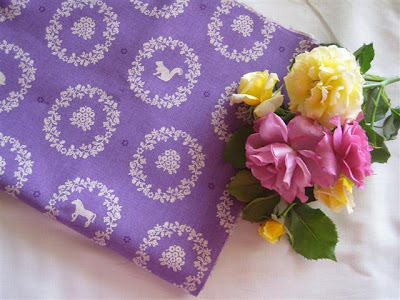 Yes, I've been shopping again - how could I resist this glorious piece of Kokka linen/cotton that matches just perfectly with the background here, cotton/linen, also - I have plenty of that in my stash. Maybe a nice bag one day! 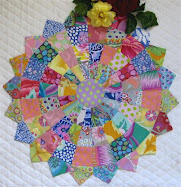 The Shaggy Fairy Quilt is started - oh, it should be so pretty - a lot of fun! Fabrics for a new blankie for Byron - the littlies spent the weekend with me, and would you believe, it was all so busy we didn't even get to have a look at these - I'm not too sure about the brown - maybe a little too heavy - maybe I should have bought the blue in that design? I've developed quite a bit and hanging on the 'design wall' waiting to be quilted now! Even up close I'm okay, lol! It has been a nice little game I've been playing to get this little fellow to this stage! 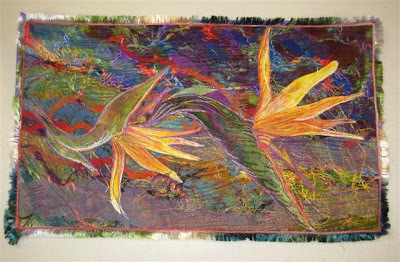 He was appliqued using the feezer paper method - Kaffe's Roman Glass for the border! The flange detail was done using a strip cut 1", pressed in two then added before the border - makes a nice little 1/4" sashing border! 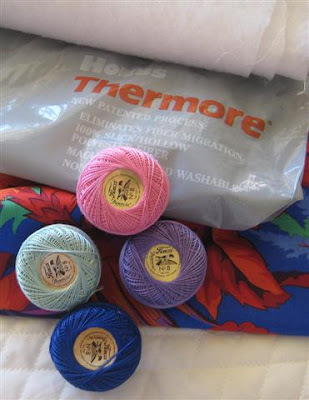 A bright Philip Jacobs fabric for backing, Thermore for batting, then Perle thread for big-stitch hand-quilting. A big weekend coming up for a lot of folks - the start of the Winter Olympics - I know I'm very keen to see as much as I can, so enjoy and best wishes to all countries participating - Aussie, Aussie, Aussie, Oi, Oi, Oi! Meet Lindley from Secret Stitchers! 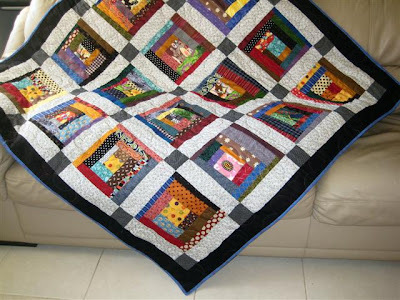 We are a newly formed quilting group meeting in a lovely, well-lit room of the Secret Harbour Community Hall. Secret Harbour is a beautiful seaside town on the shores of the Indian Ocean and very close to where I live. 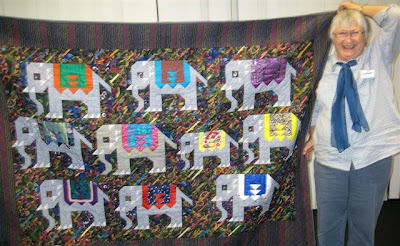 Big smiles and a Friendship Quilt - love it and it lives on Lindley's bed! A project of Lindley's taught in a workshop by Helen Rhodes, Textile Artist - though beyond my capabilities, I am in awe of Helen's expertise! It was lovely to meet Helen and another lovely Helen! 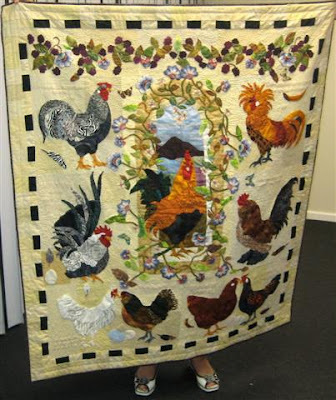 Carmen's chooks - I'm sure a lot of you recognize this great quilt. 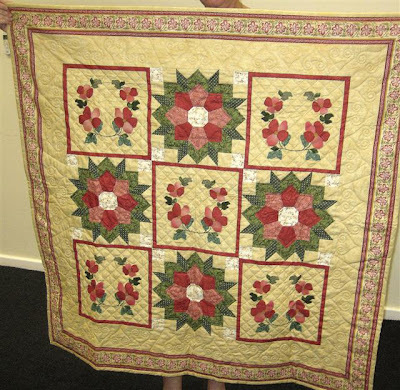 Carmen has beautifully quilted this and also lots of little beads sewn on the berries. Cute shoes, too! 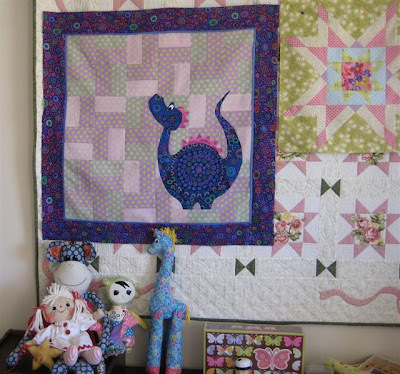 Another gorgeous Helen with her beautifully appliqued and hand-quilted quilt! Well that was last night - now on with today. 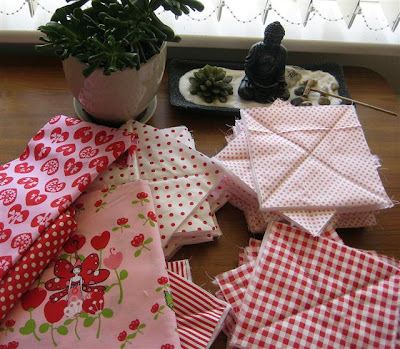 I have started, well sort of, cutting out the squares for my Shaggy Fairy Quilt - on the right you can see I have added another piece of the fairy range by Saffron Craig - great Valentine fabric! 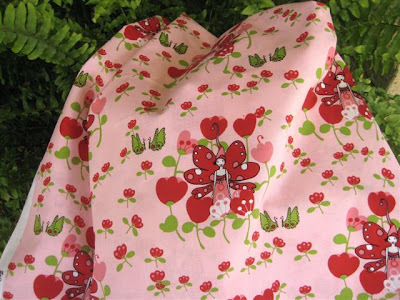 The green - I think I will make a 'green bag' from this gorgeous fabric by another great Australian designer, pop across to meet Caitlin at Pippijoe. I had a Lazy Friday but I'm not having a Lazy Sunday - lots to do and some time will be spent working in my spare room preparing it for Heidi and Byron! 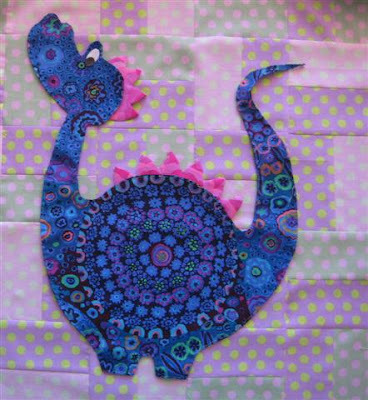 I've been having some fun with this little fellow - Dino or Dorothy! 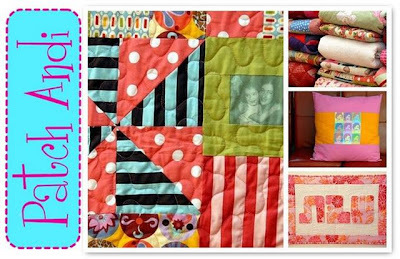 'It' will turn into a baby quilt to hang on the wall - I have lots of wonderful ideas - a nice border, big-stitch quilting, nice binding? I never cease to be amazed working with Kaffe fabrics. I have pressed over freezer paper and am now ready to blind stitch for overlay applique - this is the most beautiful fabric I have ever used for this purpose! The little fake eye (for the purpose of this shoot!) will become a real one so 'it' can see properly, LOL! Oooh, I've had a lovely morning - yes, with my bot on the chair in front of the computer! 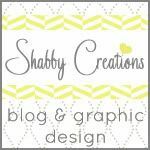 Here's some goodies I have to talk about! The postie has been to visit in the last few day - actually most days this week! I must tell you about the lovely gift from Mary Grace of Hooked On Needles - lookie here, the crocheted pink and white floor-duster (I don't think so! 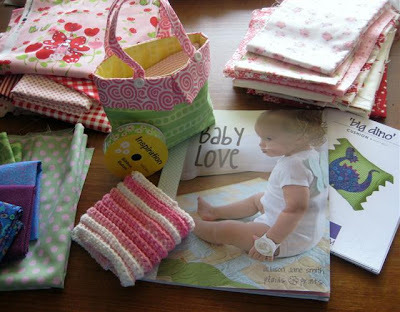 ), the sweet little pink and green bag and the gorgeous ribbon. Thanks so much Mary Grace! 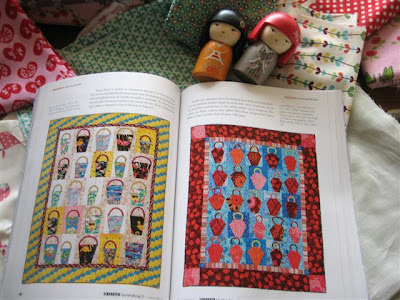 I saw a gorgeous baby quilt on Freda's Hive - Nanette showed the most gorgeous 'show and tell' with a couple of delightful baby quilts amongst a great display, and I was able to buy the book Baby Love in Brisbane - now that is on the other side of Australia. You will see more pics from this lovely little book! 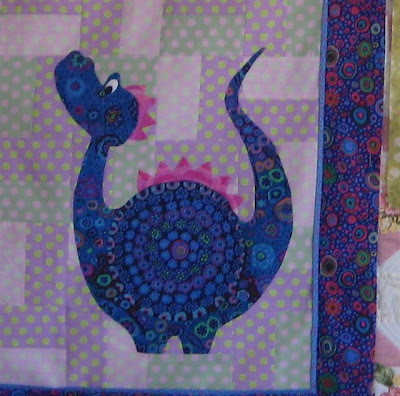 Oh, I have a gorgeous Dino I'm about to start - you will see more of him, too! I don't think Andi will mind me showing her banner - I have probably spent an hour this morning just browsing her site - a lovely girl who I had the fortune to meet last year in Melbourne - lots to interest there - I wandered off to other sites, too after spending a little time thinking on a little 'controversy' Andi has experienced recently. Pop over to see Andi if you have a little time to spare! I was going to do so much this morning - have the dentist this arv - I'll have coffee downtown with daughter Angela, and so another day goes by with no sewing done - maybe catch up on some tonight! I opened the parcel and my little heart went 'pitter, patter'! Introducing an Australian designer, Saffron Craig! I think this piece is so very beautiful! 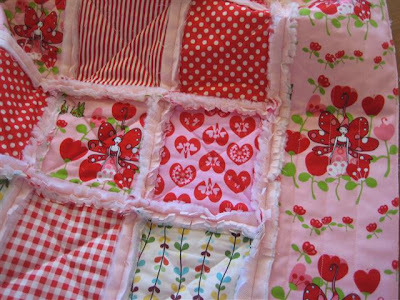 Teamed with the red and whites on the right, backed with the pretty soft pinks on the left, Thermore batting and I think it will be the yummiest shaggy quilt ever - well, maybe! Oh, I hope I can make a little start tomorrow! Another finish for January - lots of activity this weekend just gone and a little sewing to boot! 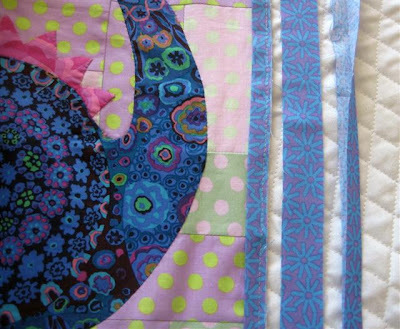 I had a lot of fun making this quilt and then it seemed to hover around forever - originally it was intended for my grandson, Tyler, who is nearly 19 now - too girly 'they' thought! 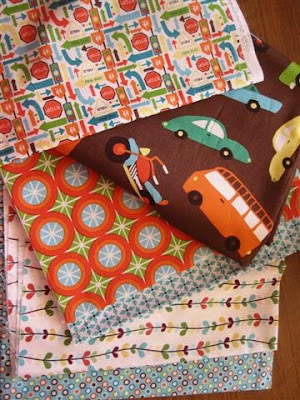 There are so many great fabrics - all bits and pieces from my stash, ranging from repros to very modern Kaffe stripes! I'm sure it will find a nice home and keep some body warm, LOL!